Organisations, companies and government agencies that need more meaningful performance measures and KPIs need people who can lead and facilitate a performance culture. And these people don’t have to be the formal leaders, like the Executive Team, either. 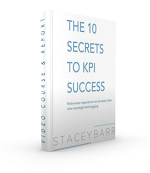 In this FREE and convenient webcast, I want to go deep with you into the new skills that Performance Measurement Practitioners need now, and how you can develop them to speed up your journey to becoming the professional, confident and highly sought-after Performance Leader your organisation or company or clients need you to be. Getting senior executives, managers & staff engaged in performance measurement and performance management. Establishing the motivational urgency for people to make the time for performance measurement. 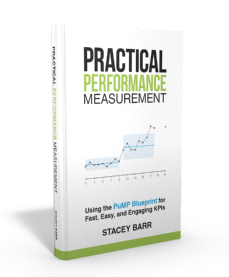 Facilitating a performance measurement process that is fast and focused, and works every time. Leading a Measures Team that leverages a consistent and lean organisation-wide performance measurement system. Becoming a confident and credible Performance Leader, even if you don’t have positional power. This webcast went for 90 minutes. The first 50 minutes covers the content discussed above, and the remainder of the time discusses the old PuMP Performance Measurement Practitioner Certification Program, which is now the PuMP Professional Program. Download the mp3 recording to your computer here.